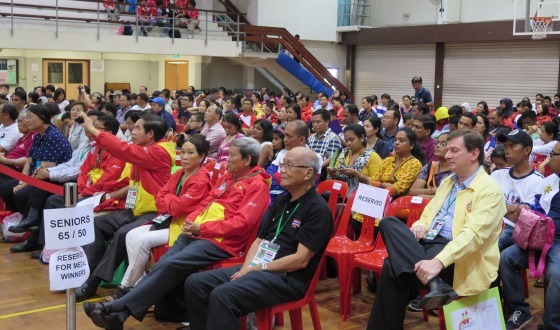 ASEAN+ Age Group Championships – Vietnam are Overall Winners! 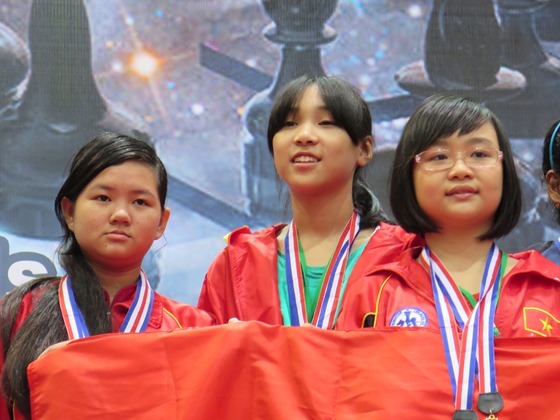 Vietnam are the overall champions of the 16th ASEAN+ Age-Group Championships 2015, a position they have held since the event started in Vietnam in 2000. The country with the largest delegation won the most medals and the statistics are staggering. Vietnam’s 68 Golds are more than the second to eighth ranked countries combined and their total haul of 141 medals more than the rest combined! In second place was the Philippines with 26 Golds and for the first time Singapore is third but with 11 Golds. 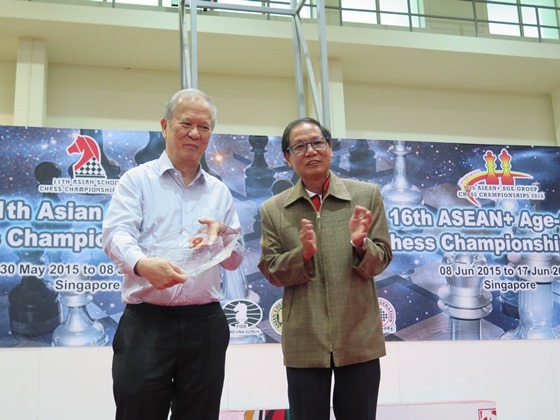 Before the opening ceremony started IM Tan Lian Aun from Singapore was given the award “Knight of ASEAN Chess” for his contributions as a player, official and now sponsor of chess, only the third ever recipient after GM Utut Adianto from Indonesia (2006) and GM Eugene Torre from the Philippines (2010).